Case Western University in Ohio was setting up a printing department. They wanted an open "City Stand" type of rack to hold their type cases. 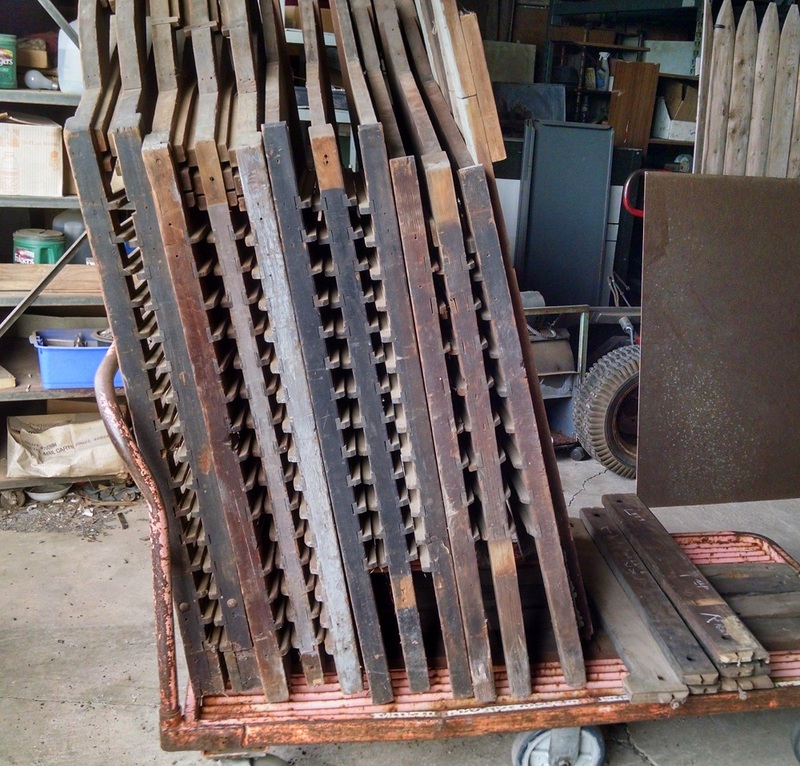 We had 4 old type case stands in the barn - in pieces. This article is about restoring one of them to good usable condition. The Type Cabinets page shows a variety of wooden racks for type cases. 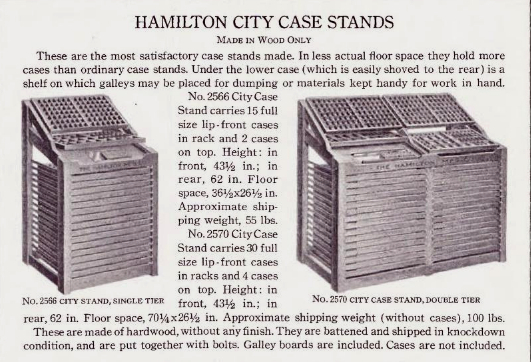 "Wooden Case Stands", "Wooden Case Racks", the "Student Compositor's Stand and Desk" and the "City Case Stands" as shown here and on this page. These are the Wooden Case Stands and City Case Stands as they have been stored in the barn. 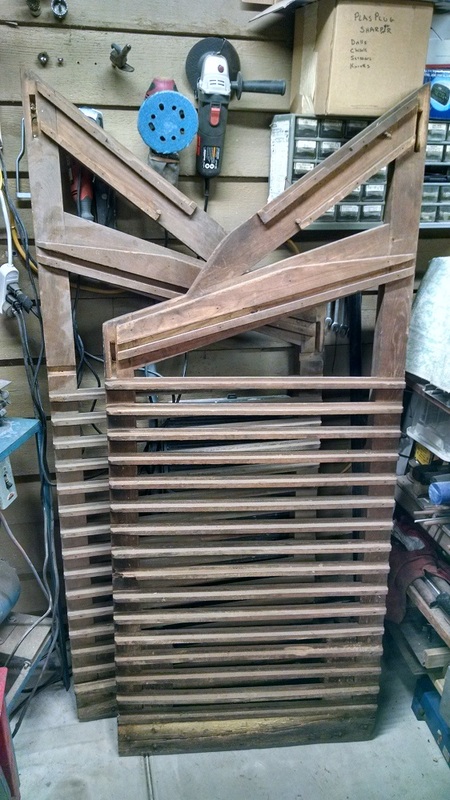 another Wooden Case Stand that will hold 12 on either side, for a total of 24 in the rack. One "double" City Case Stands that will hold 15 cases on either side for a total of 30 cases in the 6' wide rack. The fourth rack - the one chosen by our client - is a City Case Stand that will hold 15 cases in a single stack. This is the one pictured here. These are the side pieces of the ATF City Case Stand which we will be restoring. Note the extra details of the City Stand - the slots and runners. It is prepared to hold two cases firmly on the top as well as a "type bank" board beneath each of the cases. When there is no case in place - or when the lower case is slid up, forms and other items stored on the type bank can be accessed. Note also that at the bottom, there is a cross-piece that does not quite match. This is part of a riser (repair?) 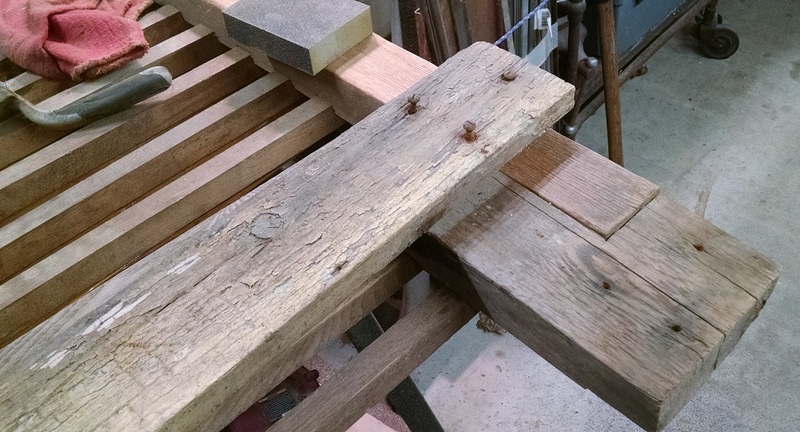 that was added to this rack long ago - long ago enough that the soft wood used had many years to be damaged by moisture. We will replace this with risers made of Maple or another hard wood that will hold up well for the next 50-100 years. Hamilton used Elm. 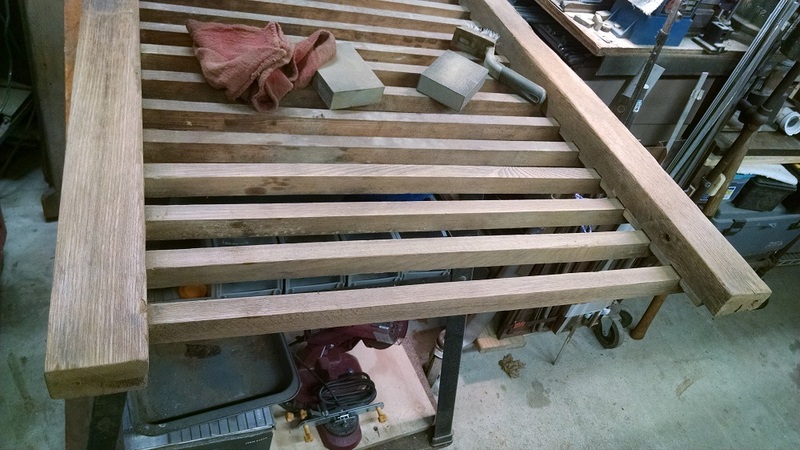 We've removed this side's risers and have begun cleaning up and sanding the remaining wood. 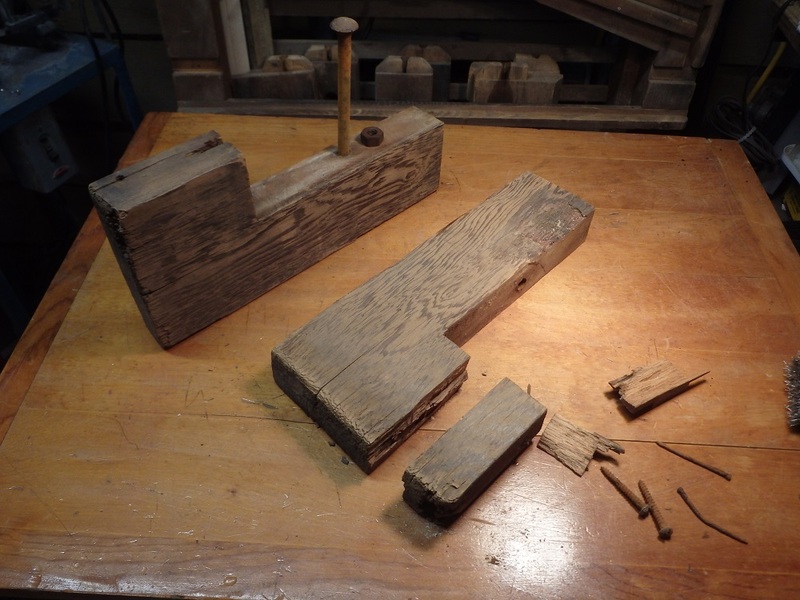 The new risers/base blocks will be made of hard wood so that they last much longer than the soft-wood patch that was attached many years ago. We measured the Stand and discovered that it is 4" lower than when it was new. That suggests that the bottom 4" were lost to water damage and these 4" risers were added to repair the cabinet - but that was a long, long time ago and the new soft-wood risers have also deteriorated and will be replaced. Hamilton shipped this stand to the ATF office in New York City - note the address stenciled on the side of the rack. An interesting note in dating this piece is that the General Offices of ATF had already been moved from Williams Street to Jersey City by 1906*.